The US leader said his party had “stopped the blue wave” - a surge in support for the Democratic Party predicted by some polls earlier in the campaign. 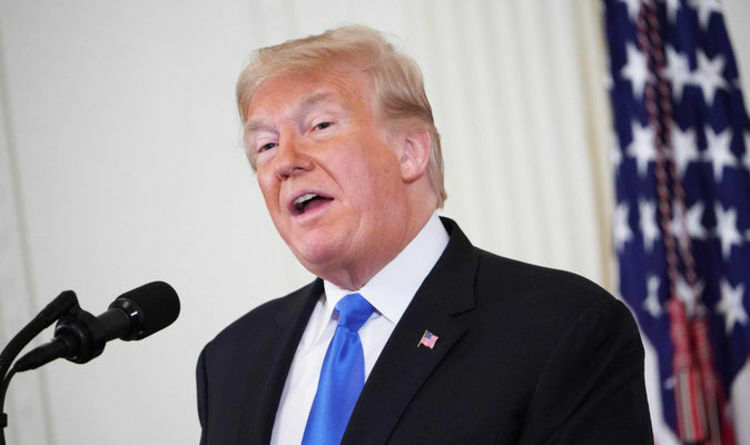 Speaking in the East Room of the White House, Mr Trump said his party had held off Democrats in key Senate races despite a “dramatic fundraising disadvantage” and “very hostile media coverage”. But despite the Democrats winning enough seats to flip control of the House, the US leader described the results as a “very close to complete victory”. He said: “It was a big day yesterday - an incredible day - and last night the Republicans defied history to expand our Senate majority by significantly beating expectations in the House for the midterm year. With the majority of results declared, Democrats have secured 220 seats in the House - two more than the 218 required for a majority. In the Senate, Republicans have already won the 51 seats needed for a majority with four seats left to announce their results. During a combative press conference this afternoon, the President scolded several reporters for their choice of questions and for refusing to relinquish the microphone. Mr Trump hit out at CNN reporter Jim Acosta after taking questions about his stance on immigration and the Russia investigation. In a hostile exchange, the US leader said: "I am not concerned about anything with the Russia investigation because it's a hoax - that's enough, put down the mic. "CNN should be ashamed of itself having you working for them. You are a rude, terrible person - you shouldn't be working for CNN. "When you report fake news, like CNN does a lot, you are the enemy of people." Mr Trump rejected claims he had “demonised” immigrants during the election campaign, particularly with his use of a migrant “caravan” slowly making its way towards the US as a focal point. He said: “I want them to come into the country, but they have to come in legally. "I want it to be a process. We need the people because we have hundreds of companies moving in."